Ever wanted your very own Dork Diary? If you could swap places with anyone for a day, who would it be and why? What song could you listen to 100 times? What TV show are you totally obsessed with right now and why? What's the most stylish outfit in your wardrobe? Put your personal spin on these questions and many more - and since this is an authentic Dork Diary, Nikki chimes in with her answers and artwork as well! 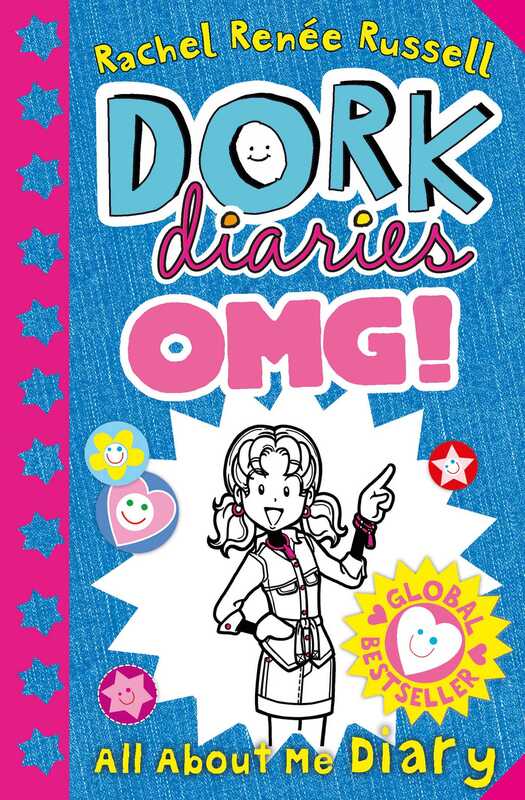 This is a must have title for Dork Diaries fans! A journal edition (with a new shiny cover!) of the internationally bestselling Dork Diaries series by Rachel Renée Russell, author of The Misadventures of Max Crumbly. Book Cover Image (jpg): Dork Diaries OMG: All About Me Diary!